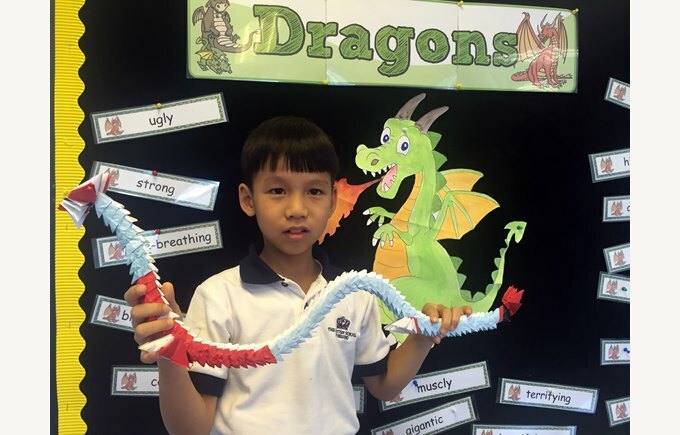 Over the past couple of weeks, the children in Year 2 started their final topic of the year, Dragons! 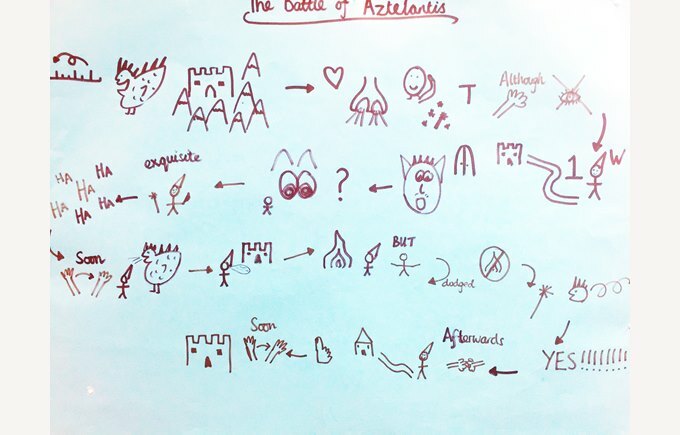 After learning the fictional story of William the Wizard who defeated a terrifying dragon who had taken over city of Aztelantis, the children in the Pandas, Monkeys and Alligators classes drew their own story maps detailing what would happen in their own dragon story. These were taken home and shared with their families before they commenced writing in class. 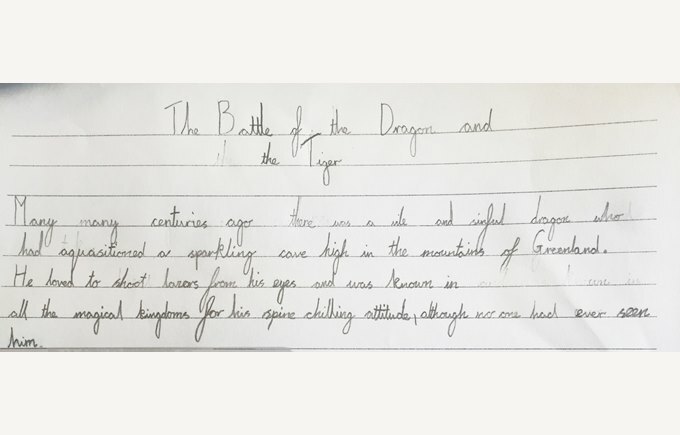 With a strong emphasis on up-levelling and improving their work, the children would first write each section of their story – beginning, middle and ending – at the beginning of the week and then spend two lessons improving the vocabulary by using thesaurus and peer-assessing each other’s work. In addition, the children were challenged to use a range of conjunctions to extend their sentences and explore using various sentence openers to keep the reader engaged, excited and enthralled. 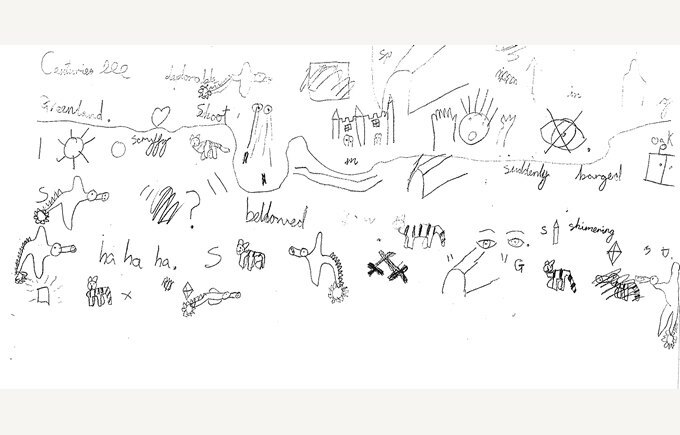 Throughout the process the children have been very ambitious and have demonstrated excellent collaboration, self-regulation and flexible thinking skills, helping each other to improve their writing. 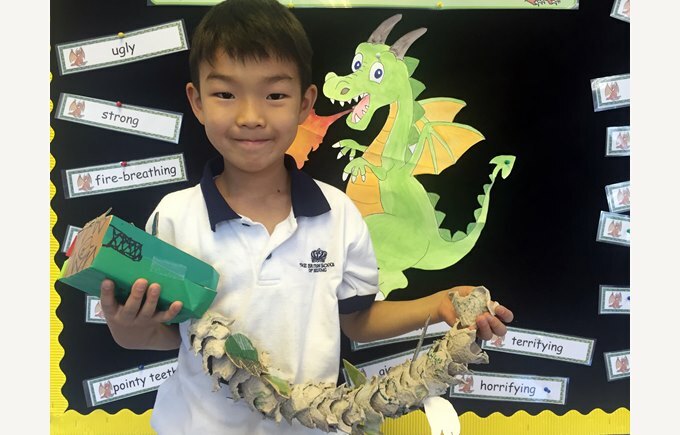 Alongside this, as part of their homework, some children used their creativity to create their own terrifying dragons using household items. 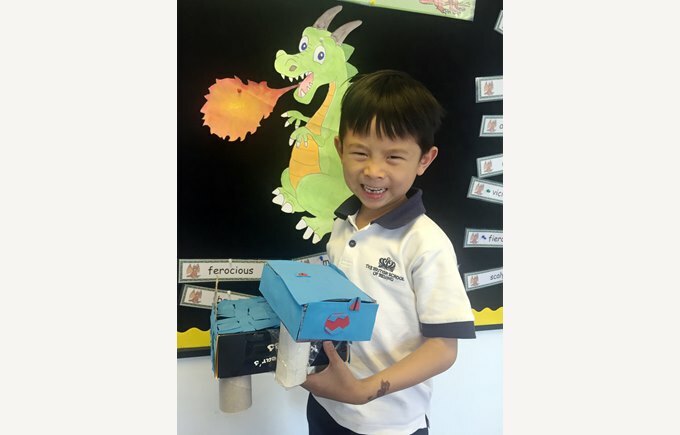 These scary looking creature can be found in the classrooms along the Year 2 corridor. Are you feeling brave enough to enter and take a look?